Schneider announced profits were flat in the third quarter, missing the consensus forecast of analysts due to Hurricanes Harvey and Irma and higher driver pay and retention costs to gear up for the capacity crunch in 2018. The truckload carrier earned $36.9 million in profits, or 21 cents per share. One year ago, when the company was still privately owned, net income was $36.8 million, or 24 cents. Industry analysts predicted $43.3 million, or 22 cents per share. On the other hand, revenue increased 5.4% to $1.1 billion, exactly on point with the forecast. In Schneider Truckload Services, revenue climbed 2% to $551.7 million, although operating income declined 24% to $41.1 million. The carrier blamed the decline in the bottom line on pay hikes to drivers, other driver retention costs and the hurricanes in Texas and Florida. Within the truckload division, sales in dedicated truckload sales increased 5.6% year-over-year to $184.2 million and also crept up 0.3% to $367.5 million in the for-hire section. The accomplishment is noteworthy given the fact the number of trucks on the road was down from 12,164 to 11,890 year-over-year, but a 4.9% increase in revenue per truck per week to $3,614 more than made up the gap. For Schneider Intermodal, revenue rose 4% to $196 million and operating income jumped 12% to $12.2 million. The number of orders to use intermodal increased 8.3% to 104,452, enough to offset a 3.6% in revenue per order to $1,876, the effects of the hurricanes and a conversion underway to move from leased chassis to owned chassis. 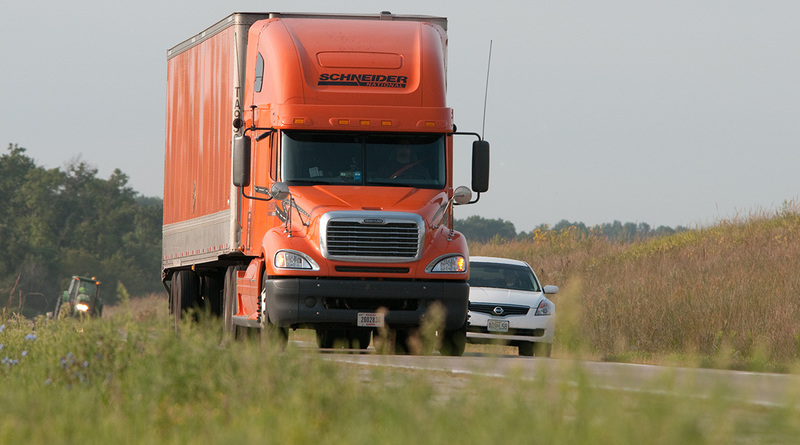 Schneider Logistics Services revenue grew 8% to $209.1 million and operating income also was up 8% to $9.1 million, which the company credited to an 8.8% increase in brokerage volume.